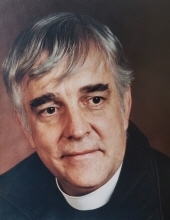 Horace Abbott Lycett of Arvada, Colorado, entered into the presence of his Savior on Monday, March 25th, 2019. He is survived by his children, grandchildren, and great grandchildren: Richard and Nancy Arthur, Nick, Jack, Scott, Holly, and Mary; Mindi and Kevin Lonergan, Zach and Katelyn (Weston, Nolan, and Harper), Rachael and Carl (Ayden, Brayleigh, and Maddisyn), Melanie and Daniyom, Jordan and Lisa; Rebecca and Hans Edlund, Isaiah; Sarah Lycett; Thomas and Susan Lycett, Isaac, Emmitt, and Owen. He is also survived by Toye Moses, who he loved as a son, his wife Alma, and children, Isabelle, Toyin, Akintoye, and Willie; and still more beloved cousins, nieces, nephews, and friends he considered family. He is preceded in death by his wife, Mary Neal Lycett, father, Isaac Cate Lycett, mother, Caroline Limerick Lycett, brother, Isaac Cate Lycett, and sister, Caroline Beaumont Felton. A celebration of his life will be held April 13th at 11:00 a.m.
Horace was born in Owings Mills, Maryland, where he grew up on his family's dairy farm. The farm produced enough milk for the family and the orphanage down the road. Growing up in Baltimore, he attended McDonough School and worked at the family stationery shop, Lycett, Inc.
Moving to Colorado in hopes of better conditions for his asthma, he attended the University of Colorado at Boulder, studying architecture and ultimately graduating with a degree in English before following a vocational call to the priesthood. He attended seminary at Nashotah House, where he completed his MDiv. Returning to Colorado to be ordained, he was known lovingly as Fr. Hal. He spent his early ministry serving on campus at the University of Colorado at Boulder and Colorado State University, in congregations including Craig and Ft. Collins, and as chaplain and teacher at Whiteman School in Steamboat Springs. Moving to Denver in the 70s, Fr. Hal served as rector at the Chapel of Our Merciful Savior (Chapel) and All Saints (Church) Episcopal Churches. He was well known for his compassionate care and beautiful, deep voice. He worked tirelessly to ensure that both churches ministered effectively to the neighborhoods they were in, and welcome all without regard for their race, situation or ability. He married Mary Arthur in 1980 and their family grew by three. They served together until she passed. During this season, the Chapel started a Spanish service, hosted decades of holiday senior dinners for elderly community members, and managed a weekly soup kitchen and pantry. The Church was home to a daycare where Dad would often be found walking with his puppy, visiting with each of the teachers and children. In 2002, Fr. Hal and Mary moved to Goodland, Kansas to continue ministry at St. Paul's Episcopal Church. Their faithful presence revitalized a discouraged congregation and he served there until he retired at 78. Moving back to Colorado, they spent their time cheering on grandkids, gardening, and making friends at the grocery store. He continued to serve at St. Michael and All Angels’ until he was physically unable. Mary's passing on 2016 left a tremendous hole from which he never truly recovered. Known by many to be a lover of travel and exploring new cultures, he chronicled many of his adventures in letters to Mary and his nieces and nephews. He shared this passion with his kids, grandkids, and their kids, showing them places on maps and subscribing them to publications like National Geographic. Fr. Hal was the kind of man who would sit by your hospital bed until you woke up, visit you in prison, and protest alongside you when he saw injustice. He was never afraid to speak up when something was not right, and he would give you the shirt off his own back if he thought you needed it. He cared for the orphan and the widow and he taught others to do the same. His legacy is one that challenges many to lead a life caring for people as Christ did. He will be greatly missed. To plant a tree in memory of Horace Abbott Lycett, please visit our Tribute Store. "Email Address" would like to share the life celebration of Horace Abbott Lycett. Click on the "link" to go to share a favorite memory or leave a condolence message for the family.